Nico Rosberg has effortlessly won the 2016 Japanese Grand Prix from pole after teammate Lewis Hamilton botched his start and put himself out of victory contention. Rosberg dominated the entire weekend, edging Hamilton in every session despite the Briton’s eagerness to recover his lost 25 points from his Malaysian Grand Prix engine fire. 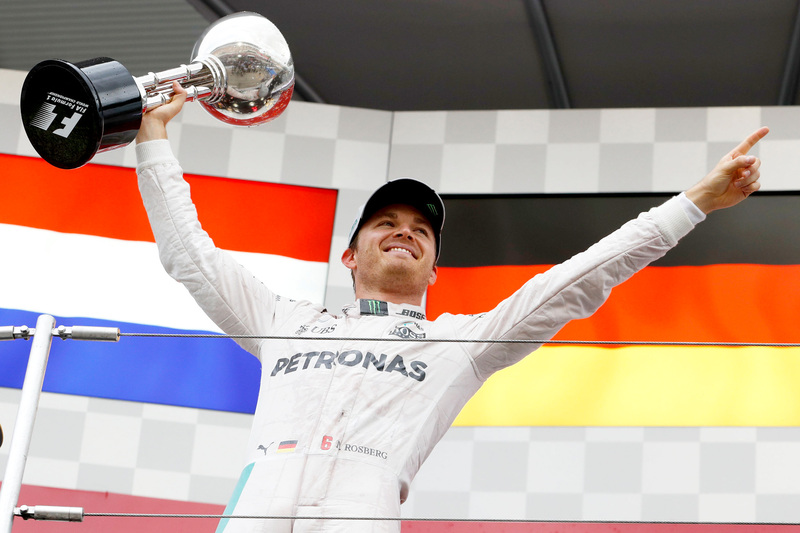 The victory puts him in a commanding position to win his first championship — Rosberg could finish second to Hamilton in the remaining four races and still win the title. Mercedes was also able to clinch its third constructors championship this weekend with an unassailable haul of 593 points. Max Verstappen finished second after a gutsy defence against Hamilton on the penultimate lap. Verstappen rocketed off the line from third into second when Hamilton struggled to get his car off the line. But the Dutchman was kept at arm’s distance by Rosberg, who was managing his pace as required, making his only challenge for the afternoon to defend against the fast-finishing Hamilton in the closing 10 laps of the grand prix. Hamilton had tyres four laps younger than Verstappen’s to make his move, and he saved his best attempt for the final chicane on the penultimate lap. The Briton set himself up to dive down the inside, but Verstappen directed his car onto the apex at the final moment, forcing Hamilton to try around the outside, where he was diverted to the run-off zone. The battle was decided on the spot, cementing the final two places on the podium. Hamilton was notably muted on the podium despite his recovery drive — though he admitted the botched start was down to him rather than any clutch problem — but paid tribute to his team for its title win. Hamilton’s fightback to win his 100th podium was the race’s most notable story, particularly given he dropped to eighth on the first lap after applying too much power off the line and ending up with too much wheel spin. He picked off only Nico Hülkenberg’s Force India before his first pit stop, after which he was gifted two places when Kimi Räikkönen and Sergio Perez, in front of Hamilton before their respective tyre changes, lost time stuck behind Jolyon Palmer’s slow Renault. The Mercedes driver subsequently made short work of Daniel Ricciardo for sixth before passing Williams drivers Felipe Massa and Valtteri Bottas, neither of whom had stopped by that point, to find himself in fourth behind his fellow podium-getters and Sebastian Vettel’s Ferrari on lap 15. Hamilton and Vettel shadowboxed until lap 33, when Mercedes called its driver in for a final switch to hard tyres in an attempt to undercut the Ferrari. Ferrari followed suit one lap later, but Hamilton’s first lap on fresh rubber was guaranteed to get him ahead of the scarlet racer, so the Scuderia put Vettel onto the soft compound to give him an attempt to win back third place on the track. They duelled for one or two laps, but Vettel’s tyre advantage rapidly evaporated in the face of Mercedes’s superior power, consigning him to fourth. It took Hamilton 10 laps from there to close Verstappen’s 13-second advantage to just a single second, but he wasn’t able to make a dent on the determined Dutchman. “I did the best I could from where I was in the race, but I’m happy with getting the points,” Hamilton said. Hamilton has only four grands prix left to overhaul Rosberg’s 33-point championship lead, the first of which is the United States Grand Prix in Austin, Texas, on 23 October.